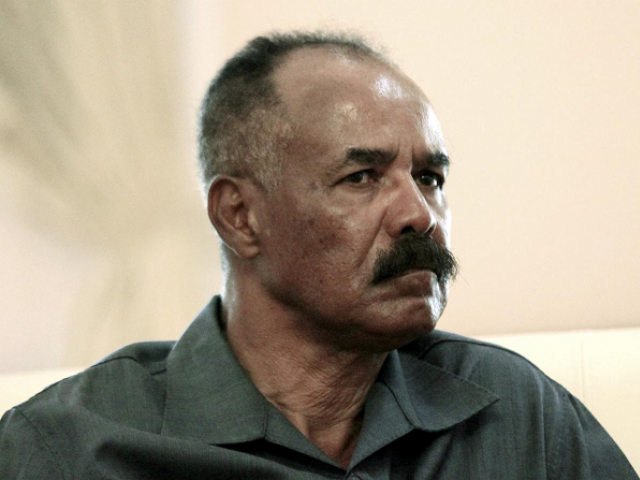 ADDIS ABABA: Eritrea’s President Isaias Afwerki arrived in the Ethiopian capital on Saturday for a three-day visit, Ethiopia’s state-run broadcaster reported, days after the two neighbors declared their “state of war” over. 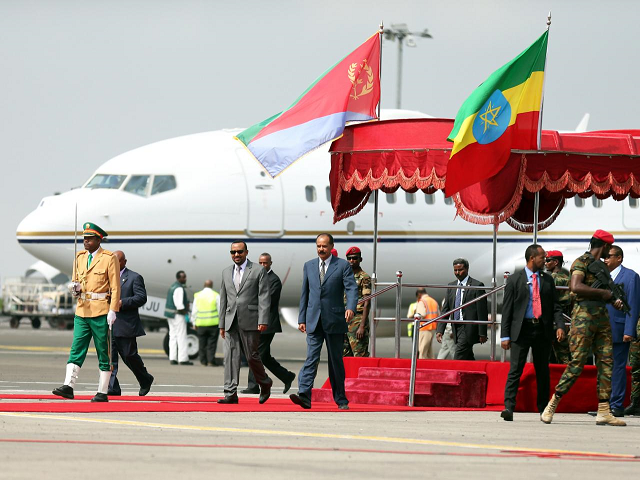 Ethiopian Prime Minister Abiy Ahmed met Isaias at the airport. The two leaders hugged and left together in the same armored SUV, in the latest sign of rapprochement between the Horn of Africa neighbors. “Welcome home President Isaias! !” Abiy’s chief of staff, Fitsum Arega, wrote on Twitter, saying the Eritrean leader “received a heartfelt warm welcome” from the Ethiopian prime minister on his arrival. Thousands thronged Addis Ababa’s main thoroughfare Bole Road, sporting T-shirts emblazoned with the pictures of both leaders, a Reuters witness said. Flags of both nations fluttered from lamp posts, while some people waved giant Eritrean flags. Ethiopia’s government spokesperson said Isaias and his delegation would visit an industrial park in the southern Ethiopian town of Hawassa later on Saturday. Isaias was also due to give a speech in Addis Ababa on Sunday.